Here’s the original post “How To Setup Long Distance WIFI“. 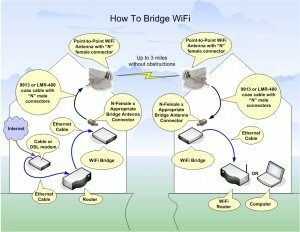 A WiFi Bridge can link your network to another network so that resources like Internet can be shared. Bridging devices work together in pairs so you will need two units. One unit is placed at each network. When a WiFi connection is established between both bridging units then the two networks become one. 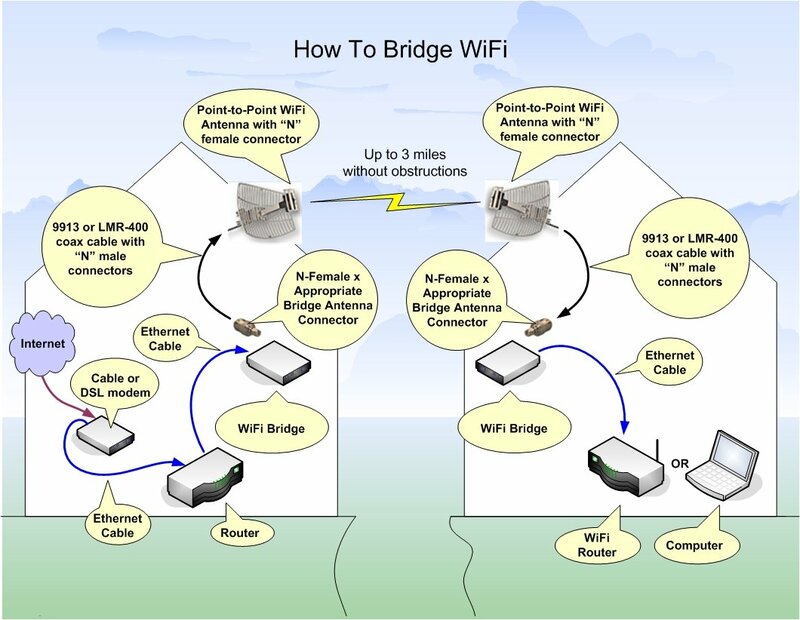 A WiFi bridge is different from a WiFi router because it is able to connect two networks using WiFi. A normal WiFi router must connect to other networks using an Ethernet cable. It is best to initially setup both bridging units in the same room before relocating them to their final location. Run the setup CD on a nearby computer and follow the instructions. Once both bridges are communicating with each other then you can continue by placing each item in its final location. If all your equipment is setup and aligned properly and you are still not getting connected then you may need to boost the power. This requires another piece of equipment called a WiFi Signal Booster. This WiFi Signal Booster has two coaxial connectors so it can be placed in-line with the antenna. Connect the “Input” jack on the signal booster to the antenna jack on the bridge. Next connect the “Antenna” jack on the signal booster to the coaxial cable that leads to your outdoor antenna. 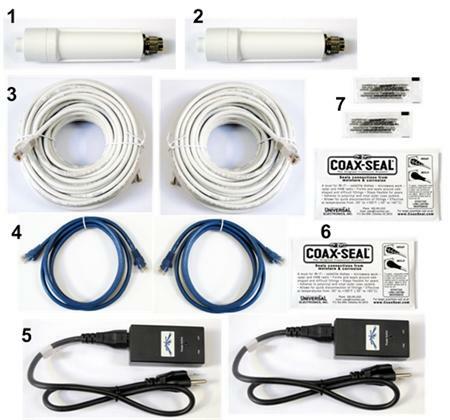 If you’re using the linked signal booster above with the equipment used in this illustration, then you will also need a special connector fitting along with a special pigtail. For even more power add a WiFi signal booster to both bridges. Unfortunately there are power restrictions (laws) when using WiFi that if exceeded could land you in jail. The FCC limits your total power output using a sliding scale. The scale starts at 30dBm of amplification power while using a 6dBi directional antenna. Then for every 1dBm you drop in amplification power you can increase the power of your directional antenna by 3dBi. Using a larger point-to-point antenna, your beam pattern will cover less area and cause less interference for others. This is why the FCC allows this sliding scale. There is now an easier and more affective way to create a WiFi Bridge by getting the WiFi Bridge Kit from C. Crane. With this setup they are suggesting ranges of 3 – 5 miles in good weather and perfect line of sight with no obstructions. 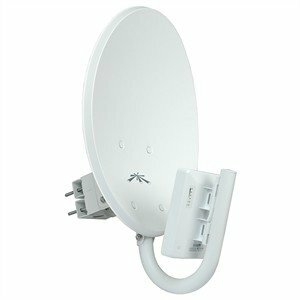 They also suggested the Ubiquiti 900Mhz NanoBridge M9, Airmax, 13dBi Antenna NBM9- KIT. The manufacturer is claiming 16+ miles with this setup. « Who’s Ready For Some Wheatgrass Shots? This entry was posted on Friday, March 2nd, 2012 at 12:25 PM	and is filed under Misc.. Both comments and pings are currently closed.